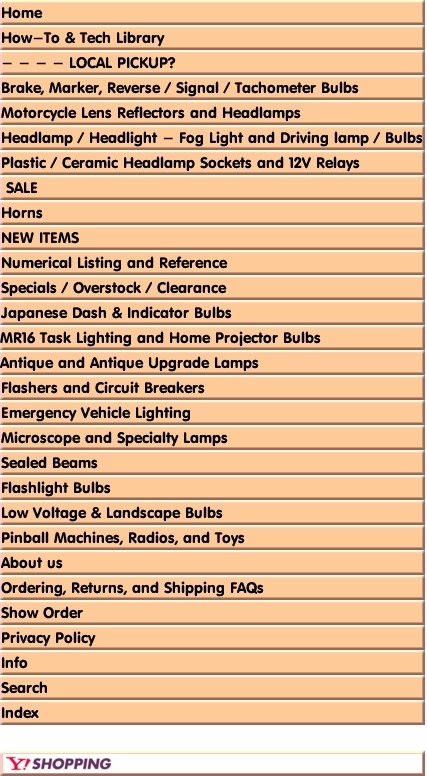 WORLDS BRIGHTEST 6V NON-HALOGEN STOP - TAIL - TURN BULB AVAILABLE. * The 1154 lamp output is measured in Candlepower. - The larger the number, the brighter the lamp. - The higher number is called the "Major" filament as that is normally used as the Brake or Turn Signal which is lit temporary by the Signal Relay or depression of the brake pedal. - The smaller number or "Minor" filament is normally be used as the "running"(rear) or "parking" (front) lamp.